A police sergeant was injured in a crash on South Morgan Street near West Garfield Boulevard on Chicago's South Side. 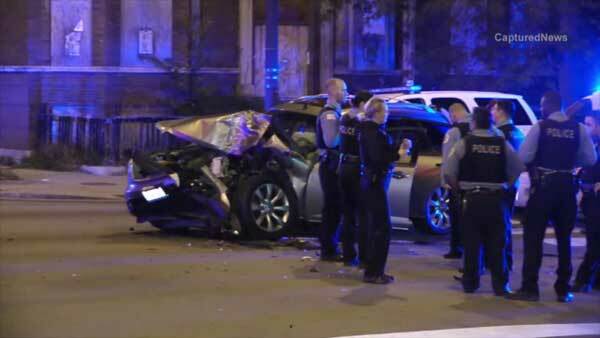 CHICAGO (WLS) -- A police sergeant was injured in a crash in Chicago's Englewood neighborhood. A driver rear-ended the sergeant's police SUV just before 3 a.m. Thursday, which police said was stopped on South Morgan Street near West Garfield Boulevard. The sergeant was taken to Northwest Memorial Hospital. The driver was taken to Holy Cross Hospital. Their injuries were not life-threatening. Police said DUI charges against the driver are pending.